Hey Questers! 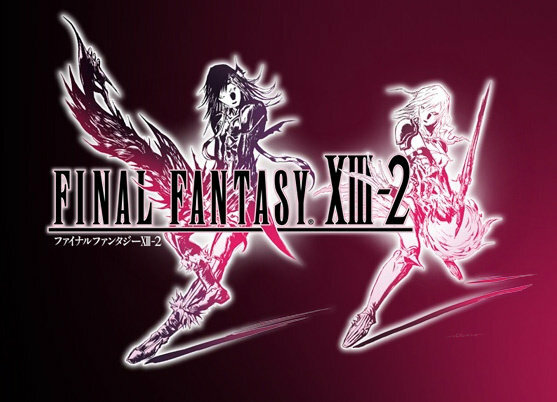 We’re looking at Final Fantasy XIII-2 on The Radar today! We’re huge Final Fantasy fans at One-Quest, I personally have completed every game in the numerical listings(excluding XI and XIV), so when a new game is announced I usually pay attention. However, I almost let this one pass by without a single glance. My issue with XIII-2 arose from FFXIII not living up to it’s expectations. Please don’t read that wrong; I loved Final Fantasy XIII, I just felt that it was missing… a bit of charm. Now couple that with the fact that Final Fantasy X-2 was a little too campy for my tastes, albeit still a great game, and sadly you have a Final Fantasy that I couldn’t care less about. . . Until I played the recent downloadble Demo! The demo had you playing as Serah, Noel, and their Moogle, Mog. I couldn’t make heads or tails of the story, but I know it has something to do with time travel and paradoxes. Combat plays very much like it did in XIII, but it throws in some Cinematic Actions, or quick time events. While it doesn’t sound super innovative, it actually works to keep you more invested in the battles. You can also capture monsters and have them battle with you as a third member of your battle team. Think of it like a cross between the summons from FFXIII and Pokemon. It’s really a cool feature. Every monster has their own stats, and Crystarium Grid, which is a level up system establish in Final Fantasy XIII. They can also be equipped with “Adornments” or accessories with purely cosmetic purposes. They Crystarium Grid has also undergone some significant changes, however I found it hard to understand due to a lack of a tutorial during the demo. It seems as if Final Fantasy XIII-2 is here to right all of the wrongs everyone felt about FFXIII. After playing the demo I can say I had a lot of fun, and I’m really looking forward to it’s release. Check out the gameplay video here, and download the demo on XBL and PSN. Don’t forget to sound off in the comments with your thoughts below! Final Fantasy XIII-2 is ON The Radar.